I grew up outside of Worcester, Massachusetts. While I’ve always loved Massachusetts, I felt the need to go away to school. After years of research, I narrowed my choice to Case Western in Cleveland and Carnegie Mellon in Pittsburgh. When I made my bus trip to the near-mid West, I found I hated Cleveland (except for the Art Museum) and loved Pittsburgh. My choice was easy. I’ve actually moved to Pittsburgh twice by choice. I wound up marrying a Pittsburgh native. We were part of the great brain-drain of the late ’70s and early ’80s that Pittsburgh experienced – my husband couldn’t get a job in Pittsburgh after he graduated from college and we wound up moving to rural Ohio. After spending 11 years in Massachusetts, we returned to Pittsburgh in 1993. Pittsburgh had changed quite a lot between 1979 and 1993. Yeah, parts of downtown deteriorated rapidly in the late ’90s and early ’00s, but it is generally coming back now. People are actually moving into condos in downtown. There are an amazing number of small galleries, little theater troupes and small start-up companies. As part of its brain drain 30 years ago, Pittsburgh experienced a major housing bust. However, it didn’t have the housing boom many other cities had in the ’90s and ’00s. Right now, the cost of housing is declining a little, but not nearly as much as it is in other areas. Affordable housing also makes Pittsburgh an extremely attractive city to settle in. Help me better understand the connection between living in a powerful mega-region like Chi-Pitts but in a city in that region thatâ€™s in transition. Chicago’s growth really sucked up all of the services and headquarters functions and lawyering and financial and accountancy that used to be done in the Detroits, the Pittsburghs, the Cincinnatis, the Akrons, the Toledos. Chicago has become in a way the business and financial center for the Chi-Pitts regions, and it’s become extraordinarily expensive. So, one can make quite a nice life in a Cincinnati if they find ways to connect to that Chi-Pitts mega region. The places in the mega region that are really at an advantage are places like Ann Arbor. So, the college towns in that mega region have a particular advantage. How can a city in this mega-region, like Cincinnati, Detroit or Pittsburgh, better compete in the global economy? Is it a matter of amenities or mindset or both? First of all, I think they all have this great advantage, in a nearly 2 trillion dollar mega region which is one of the most innovative on the planet. Theyâ€™re also close to the second largest mega-region on the planet, the number one in North America which is the Bos-Wash (Boston-Washington). The question is how do they want to compete? 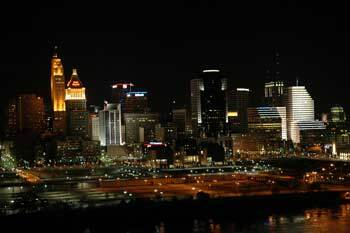 I was just in Cincinnati and in Dayton, another city I love. Theyâ€™re historical centers of innovation, every one from steel innovation to aluminum innovation, to electronics, to the Wright Brothers, to the car. This is one of the greatest innovative and entrepreneurial centers in the world. They have probably one of the greatest clusters of universities, in the history of the planet. They’re producing phenomenal talent, but unfortunately, that talent leaves. So, in Rise of the Creative Class, I said the one thing that it needs to become is more open minded and tolerant. It needs to be more diverse and inclusive. Some of that’s happening in certain parts of the region. More foreign people are moving in, though not enough, in the Cincinnatis and Pittsburghs. They’re becoming more open minded to the gay and lesbian population, though by no means, not enough. I don’t think it’s a question of making jazzier restaurants or hipper bike trails. I think it’s a question of being more open-minded. Another thing the region suffers from is really poor leadership. And I think the reason that is, it really bears the imprint that as the economy is changing to newer things, away from manufacturing, the leadership still reflects that top-down, vertical, 1950s organization mentality so you get these conflicts between old-style democratic political machine and business-led organizations. Those conflicts become very dysfunctional. I think one of the other things is that if older cities could achieve better leadership, leadership that was more in tune with the future. We were working with 30 community catalysts in greater Dayton a couple weeks ago and I was blown away by what’s happened in downtown Dayton. Itâ€™s a more interesting and exciting place, filled with arts and restaurants and renovated houses and buildings. But too how these thirty catalysts, black, white, young, old, Hispanic, Latino, how much they cared about making their city better. And I think that’s the kind of thing you see in parts of Ohio and Illinois, there’s this incredible sense that people care, and I think unleashing that energy in people is really key.